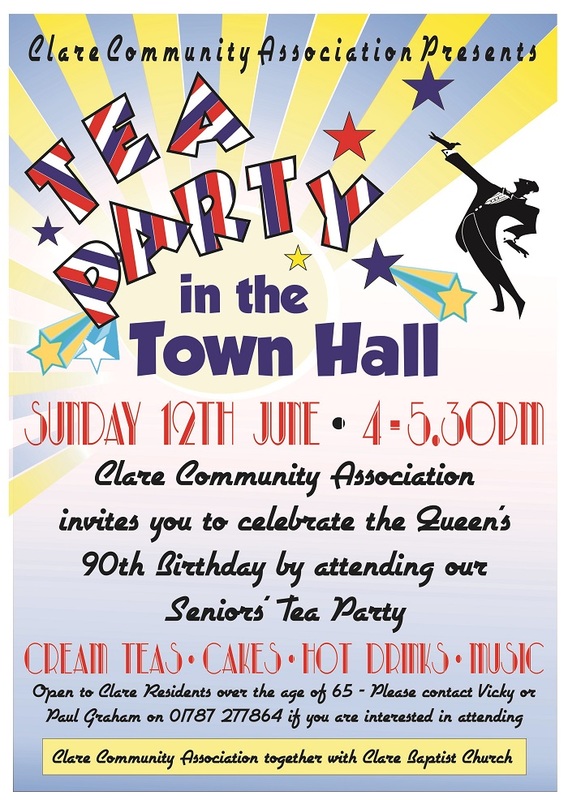 Clare Community Association together with Clare Baptist Church are holding a Senior’s Tea Party as part of the celebrations for the 90th Birthday of Her Majesty the Queen. If you or anyone you know would like to come along and join our Seniors’ Tea Party to celebrate H.M. The Queen’s 90th birthday and enjoy a cream tea with some music from the Un4gettable barbershop quartet, please contact Paul or Vicky on 01787 277864 as soon as possible to reserve your place.